Restoration - Tiffany Stained Glass, Ltd.
Tiffany Stained Glass offers expert professional restoration services to preserve the value and integrity of architectural artifacts and antique decorative arts. Our experience in this field is extensive, and covers a wide range of trade disciplines. We consult with you to establish your requirements, determine an appropriate course of action, and plan for a professional project execution. Stained Glass Restoration often involves careful replacement of broken glass sections, damaged metal structure, and repair or replacement of wood framing that has suffered from neglect or water damage. Our experienced staff can provide expert restoration to Light Fixtures of all types. Commercial fixtures that are in need of metal restoration and rewiring are handled professionally to extend life and conserve the architectural integrity of the original design. Residential lighting receives the same level of attention. 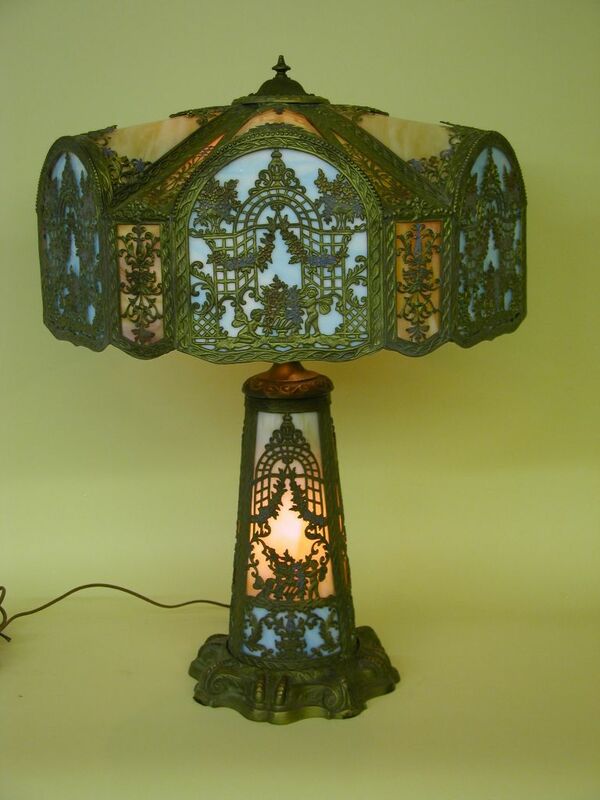 From simple component replacement to complete finish restoration and rewiring, Tiffany Stained Glass, Ltd. can extend the life of your treasured lamp or light fixture. Call us at 312 642 0680 to discuss your restoration project, or bring your project in to our studio for a free evaluation. Our capable staff will consult with you and show how we can repair damage, and improve safety.